At My Olive Tree we are about ALL things olive! Olive trees, olive oil, black olives, green olives, kalamata olives, stuffed olives…you name it and we love them! 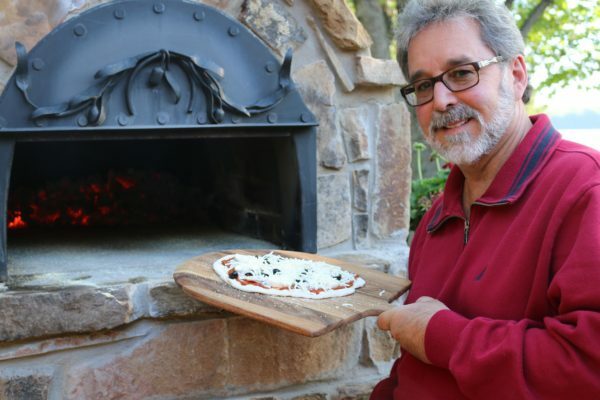 As we prepare for the holiday season we thought we might share a few recipes that include olives or olive oil for your enjoyment. And this recipe is truly for your enjoyment and NOT for your health…or your waistline…or your motivation to exercise. Extra Virgin Olive Oil has amazing health properties but this dip, even with olives, not so much. But it tastes amazing. Warm, rich, and full of cheesy goodness and with a little bit of olives on top. Who can resist? It is easy and perfect for holiday parties or as a Thanksgiving, Hanukkah, or Christmas appetizer. 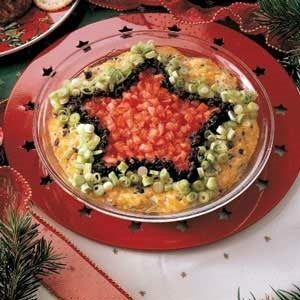 I am pretty sure you could make it a Southwestern Star of David dip if you were feeling particular festive and creative. And because it is so delicious you might want to double your recipe if you are serving a large crowd. In a bowl, combine cheese, mayonnaise (and cream cheese if you are using it), 1/3 cup olives, chilies, garlic powder and hot pepper sauce. Transfer to an ungreased 9-in. pie plate. Bake, uncovered, at 350° for 20 minutes or until hot and bubbly. Sprinkle tomato on top in the shape of a star; outline with remaining olives. Sprinkle onions around the star. Yield: 2-2/3 cups.